We took the Road Glide® model to the mile-devouring limit with the CVO™ model you see here. If long days in the saddle and late nights on the strip are your style, you owe yourself a ride on this motorcycle. You get the awesome power of a Milwaukee-Eight® 117 engine. The aggressive look of the shark-nose fairing. Premium paint, custom wheels, custom details as far as the eye can see and our premium BOOM!™ Box 6.5GT Infotainment System — featuring Stage II speakers powered by a 300-watt amplifier. 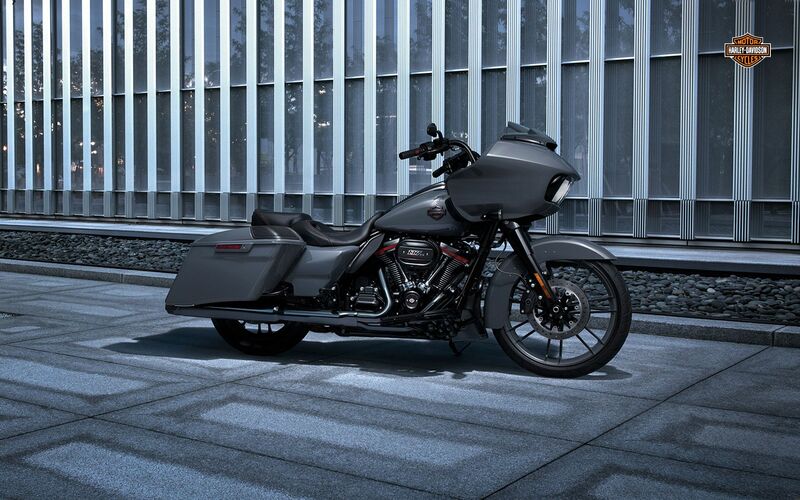 This is the most Road Glide® style, function and technology you can throw a leg over. Get in the saddle, and you won’t be stopping anytime soon.